Mohammad Reza is a self-taught photographer from Iran. 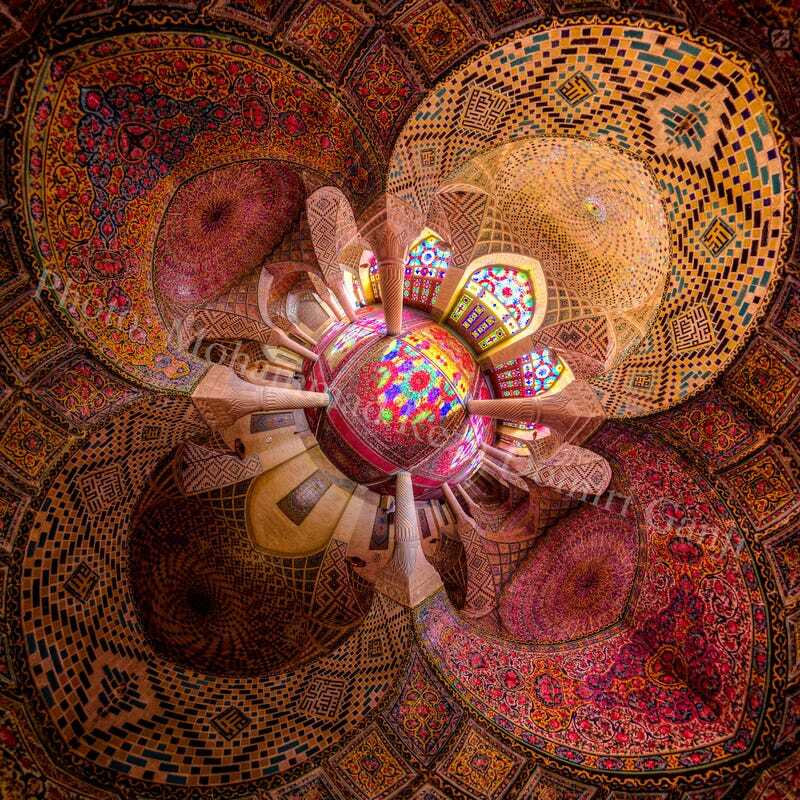 The wide angle lens and the colorful Persian architecture give to his pictures a mesmerizing kaleidoscopic effect. Most of my pics are covering a very wide angle of view (showing an entire building in one picture ) and also they are high dynamic range, for me light is a very special element in photography. Mohammad Reza Domiri Ganji is a 23-years-old photographer and physics student from northern Iran, interested in panoramic and architecture photography. You can see his work in his blog and website and follow him on Facebook.